Ema Edosio-Deelen was not expecting the loud applause that greeted her movie, â€˜Kasalaâ€™, at the Lights Camera Africa Film Festival. It felt surreal to her. She kept muttering, â€œOh my God!â€ when called to the stage for a questions-and-answers session with the audience. If she expected the ovation to quiet down due to her apparent surprise, she was mistaken. The screams and claps kept increasing until the audience had their fill. When she finally composed herself, she regaled the audience on how she made the delightful gritty movie about four young boys in the ghetto who went on a jolly ride and ended up in a series of trouble after their car had a crash. From how she found the characters to how she shot the movie with one camera for 13 days in a ghetto area in Surulere. The accolades were the same the following week at the Netherlands Embassy in Lagos where she hosted a few journalists. Sitting behind her guests at the living room stacked with furniture and shelves of books, Ema as she is fondly called will often time chuckle at whatever the character was saying on the screen. â€It brings back memories,â€ she tells THISDAY. Emaâ€™s overwhelming disposition is no acting. Indeed she never imagined that the Nigerian audience will accept the movie the way they did after being told by cinemas that the movie was too arty for Nigerians. By arty, they meant that it has no commercial value. Undeterred by their short-sightedness, she took the film to film festivals within and outside the continent where the applause began. By the time the local cinemas saw the good reviews about her film from the international scenes, they opened their doors to her. Kasala finally had its theatrical release on October 12. The recently married Ema knew she wanted to make a film that was fresh and unconventional from Nollywoodâ€™s mostly glamorous offerings. The inspiration first hit her after watching Abba Makamaâ€™s â€˜Green, White, Greenâ€™ film. Ema adds: â€œI watched Green White Green and I was blown away. I left the hall saying I want to make something different. Abbaâ€™s film sort of gave me a validation and the ability to leave the ego-chamber of what Nollywood is to make something different.â€ Her passion was stirred more by her days in British Broadcasting Corporation where she worked as a video journalist. But the kind of film Ema wanted to make usually does not attract sponsors or funds. She knocked on many doors and was constantly shown the way out. Frustrated, she decided to empty her pockets and bank accounts to make the film. â€œI said to myself I was going to use everything available and the skills that I have built over the years to make the movie. I couldnâ€™t afford to pay cinematographers, editors; I literally shot, produced, edited and directed this film to make it happen. The film is self-funded with support from my friends,â€ Ema reveals to THISDAY. â€˜Kasalaâ€™ which means trouble in local slang depicts the word in different shades throughout the movie. The story revolves around TJ, a young lad who fancies himself a music star and detests the meat selling business of his uncle Taju whom he lives with. Eager to live up to his nickname Starboy, he stole his uncleâ€™s car and went on a rendezvous with his friends Effiong also known as the Hustler; Chikodi aka Effiko and Abraham who is nicknamed â€˜Odeâ€™ for his apparent lack of talent. Their afternoon romp ended in an accident that saw the boys deploying all manner of schemes to fix the car before dusk. These characters are her trump card. Fresh and charming, the boys bring to life the youthful exuberance of teenage boys which are often dotted by mischief and a peculiar bond of friendship. The pidgin spoken in the film was absolutely authentic. At the core of Kasala is a celebration of friendship which to Ema is part of the Nigerian identity. She said it was her own way of paying tribute to Lagos. 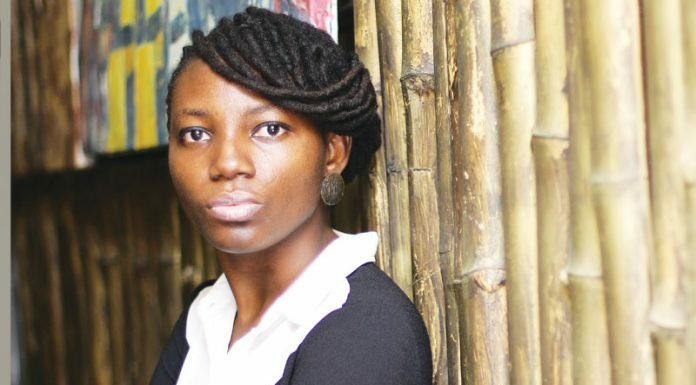 To fully put her stamp on this project, Ema who stumbled on filmmaking after graduating from the university with a Computer Science degree had one of the popular music artiste IBK Spaceshipboi produce eight Afrobeat soundtracks for the movie. However, like Kunle Afolayan who came out with the idea of New Nollywood, Ema and some of her colleagues are also pushing for a new narrative in the industry.